The LP1553‐5 (PCI) and LE1553‐5 (PCIe) are personal computer expansion cards for communicating with MIL‐STD‐1553 systems brought to you by Dedicated Systems Australia. These feature‐rich interfaces provide programmable data buffers and deep built‐in memory. Models offer 1 to 4 dual redundant MIL‐STD‐1553 channels, 16 input/output avionics level discretes, and IRIG time synchronisation/generation. MIL‐STD‐1553 capability includes BC, RT, and/or Monitor. Avionics discretes can be used as general purpose I/O or linked in hardware to 1553 databus activity as triggers or syncs. The Lx1553‐5 model line supports maximum data throughput on all 1553 interfaces. Each channel is independently configurable as Bus Controller, Remote Terminal(s), or Bus Monitor. Messages can be captured by a sequential monitor for all channels, or via RT map monitoring. Notification of databus activity is handled through the onboard Event Log, which can be processed by polling or via an interrupt. To dramatically reduce the host CPU processing, the sequential monitor has a DMA mode that automatically moves records to host memory through PCI/PCIe bus mastering. The Lx1553‐5 products are half size compliant cards. Avionics transition cabling is available from the unit’s IO connectors to standard 1553 cable connections. 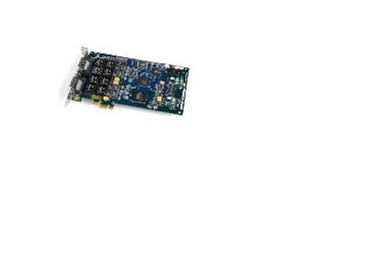 The universal PCI or PCI Express interfaces available make the Lx1553‐5 compatible with virtually all modern desktop, rackmount, and server computers. Users can develop their own applications using the included BTIDriver API. With only a few function calls, a program can operate the Lx1553‐5 and process messages to and from the avionics databuses. Functions include routines for transmitting, receiving, scheduling, recording, time‐tagging, and data manipulation. The Lx1553‐5 also supports Ballard’s CoPilot MIL‐STD‐1553 analyser software. CoPilot is an intuitive and powerful software package that allows operation of the Lx1553‐5 without programming or software development.